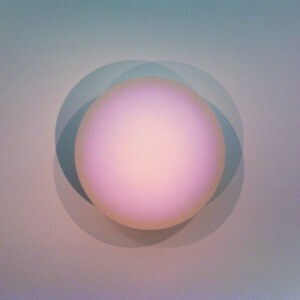 Today I present to you the first in a series of posts covering our top 50 albums of 2012. These lists take a long time to compile, so, to save my sanity, I’ve split it into a five-part countdown, beginning with 50 through 41. As these things go, it’s all subjective — best-of lists are compiled based on what we feel at this particular moment in time. Case in point: At this time last year, my top three albums were: 3. Dream Diary by Jeremy Jay, 2. Music Sounds Better With You by Acid House Kings, and 1. 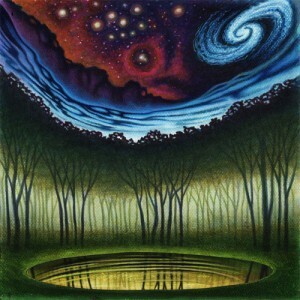 Apocalypse by Bill Callahan. Given a year to mull these over, within the top twenty I’d have to also consider placements for Wooden Shjips, Youth Lagoon and Craft Spells. Not to mention A Classic Education. Above is one of a few Christmas gifts I picked up for Andi, my fiance. 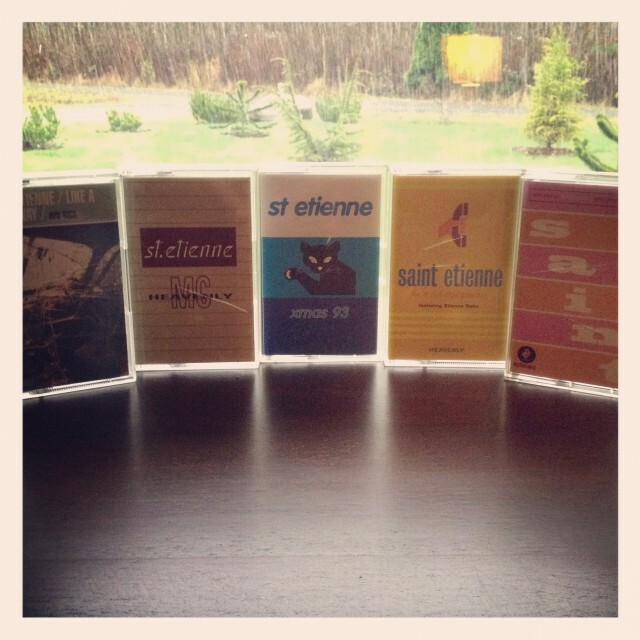 It’s a set of five cassette singles including the venerable Christmas ’93 from her favorite band: Saint Etienne. Below, we begin with an honorable mention. Mazes would likely have reached a bit higher on the list had I had a chance to take in the full album. As I’ve only had a chance to check out the title track, it gets an honorable mention. 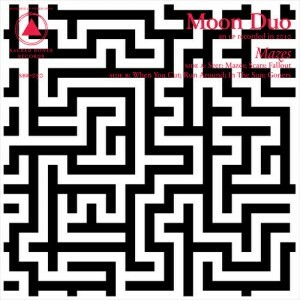 “Mazes” finds Erik “Ripley” Johnson (Wooden Shjips) on guitars and vocals and his Moon Duo cohort Sanae Yamada on keyboards. 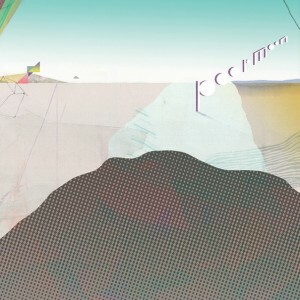 This is 90s-influenced psychedelic rock at its true finest. 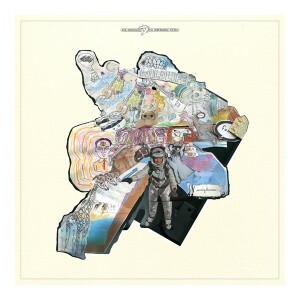 Within the song, you can easily hear what made West by Wooden Shjips one of my top albums of 2011. Young Moon is the new project of Trevor Montgomery, who with it creates eerie, subtle pop music. Navigated Like The Swan follows a man who has lived, for better or for worse, who has emerged from true darkness yet the battle continues. In the lands between reality and insanity is where this album resides, and the trip it takes you on is one that must be experienced. The listener ultimately comes out a changed person. Like all genres and sub-genres, experimental pop comes in many forms. Sunglasses debuted this year with their Swim / Namesake single and followed it quickly with their debut LP, Wildlife. Samuel Cooper and Brady Keehn blend the digital with the analog, using “everything from acoustic guitars to iPhones, seamlessly blending analogue with digital to immersive, psychedelic effect” (per their label, Mush Records). Despite generating hype with their first two singles, the clear standout is “Cold Shoulder” which we covered back in October. I’ve long been a fan of orchestral folk-pop, so it’s no surprise that you’ll find a few such artists on my year’s end lists when they come around. Carrousel creates that style of indie pop, with dreamy and playful instrumentation and melodic vocals. It’s not always orchestral, but it is always pleasantly dreamy. 27 rue de mi’chelle in name and sound would give one the impression of being from a foreign land, likely some distant village in Europe. 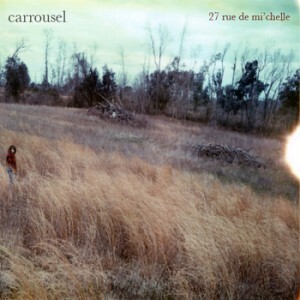 But Carrousel is in fact from Tallahassee, Florida. Psychedelic pop comes in many forms. Our end-of-year lists will show you that. Yes, 2012 was the year for psych. The Marble Vanity seemed to come out of nowhere, and — and this isn’t necessarily a bad thing — they still seem to be out there in the ether, not exactly there and not exactly, well, not. This is a band that will grow on you with startling speed. 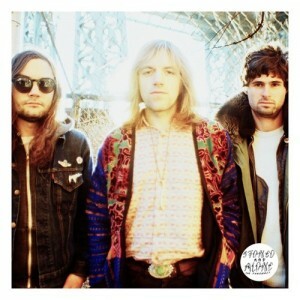 Their self-titled debut LP is a nod to 60s psychedelic and garage pop artists. Poor Moon is one of Sub Pop’s latest inductees and their debut, self-titled LP follows the Seattle band’s quirky nature. Featuring Christian Wargo and Casey Wescott, both of Fleet Foxes, one begins to understand some of what’s behind Poor Moon’s sound. A few years back, Reservoir by Portland-via-Moscow, Idaho band Ah Holly Fam’ly made it into my top ten records of the year. Upon first listening to Falling Star Castle by The Ocean Floor, I swore that the voice behind the band sounded just like Ah Holly Fam’ly front-man Jeremy Faulkner. Fronting The Ocean Floor is Lane Barrington, but I wasn’t too far off. The Ocean Floor’s connection to Ah Holly Fam’ly is co-vocalist Shannon Steele (also a member of Typhoon), and both bands do share a lot in common sound-wise. 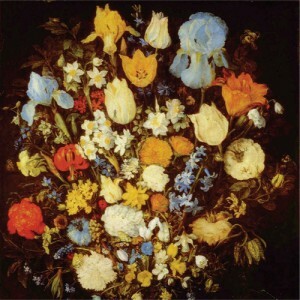 The Ocean Floor, however, keeps their style of orchestral folk-pop unique by adding in experimental pop in the vein of Nat Baldwin. 45. A Date With You by Grape St.
Grape St. rose from the ashes of Harlem — the band not the location. Harlem’s 2010 release, Hippies, was in my top ten for that year and both Grape St. and Lace Curtains (the other band birthed from Harlem), to an extent, pick up where Hippies left off. Somewhere between garage rock and the outskirts of punk is where you’ll find them. As opposed to Lace Curtains, this release is a bit more gritty, raw and less centered around pop. It has the lo-fi nature familiar to fans of Harlem but doesn’t quite match its ability to create a catchy tune. Still, plenty of catchy tunes exist within A Date With You, just not as catchy as were found on Hippies. We covered, late, the video The Horde And The Harem created for their song “Chasing Crows” from way back in January of this year. 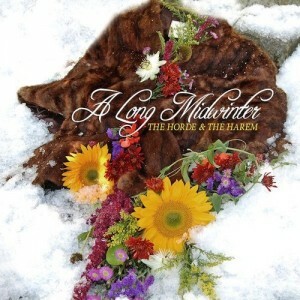 The song is telltale for what you’ll hear on their album A Long Midwinter — a similar vein of folk-pop that you get from other Northwest artists like The Head And The Heart, Typhoon and Hey Marseilles. All of these bands use multiple vocalists and a penchant for orchestration, but there are some key elements that make The Horde And The Harem stand apart from those aforementioned contemporaries, most apparent being the deep tenor of their back-up singer Noble Monyei and a heavy focus on keys. The Pharmacy has been around a while now, and they’re still at it, creating excellent music. We received the first taste of Stoned And Alone last year with their four-song EP, Dig Your Grave. The only track to not make it onto the new LP was EP closer Burn Yr Bridges (consequently, at the time, it was our favorite track off the release). Since then, we’ve come around to the other tracks. “Dig Your Grave”, “Josephine” and “Baby Be” are my favorites off Stoned And Alone. Liars is a band I have struggled with over the years. Sometimes I dig what they release, sometimes I do not. WIXIW I dig. I see the album as more complex, more drawn-out than their previous. It has elements of mystery, moments of chaos and moments of calm. 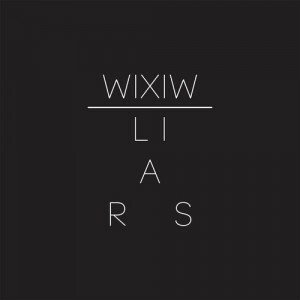 Where other albums like Drums Not Dead from 2006 were almost holistically chaotic and intense, WIXIW takes on a completely different approach. Oh yes, chaos is still a core element of the music, but its subtlety is awesomely nightmarish and dreamy. WIXIW is a completely different beast. Amanda Mair has become somewhat of a legend in Swedish pop. Signed to Labrador Records in 2010 at the ripe age of 16 — Mair was born in 1994 — she quickly gained traction as a viable pop artist. Her songwriting, music and voice have been likened to greats like Kate Bush and Bat For Lashes. Her self-titled debut LP includes all the great singles she dropped over the past two years: “Doubt”, “Sense” and “House”. You’ll get those plus seven more great tracks on Amanda Mair. Keep an eye on this one — at this young an age, we should be able to expect great things from Mair for many, many more years.